Entertainment Weekly is reporting that Oscar winner Alicia Vikander (The Danish Girl, Ex Machina, Tomb Raider) is reprising her role as Lara Croft in a sequel to last year’s Tomb Raider. 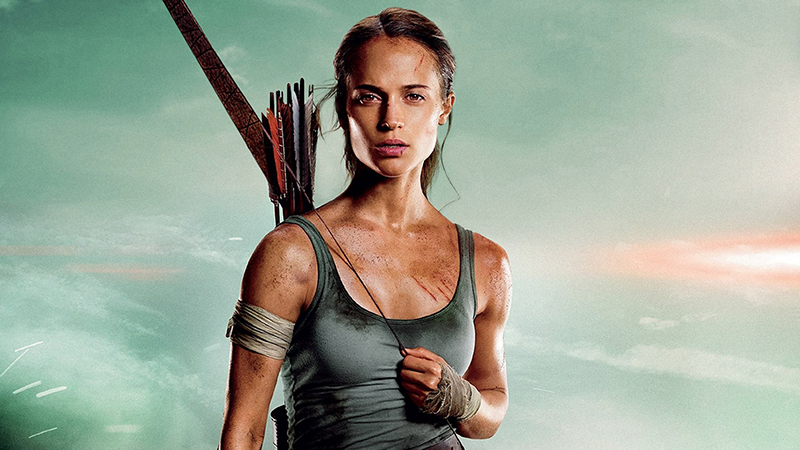 The sequel is currently in development at MGM and Warner Bros., with a new writer, Amy Jump (High Rise, Free Fire) attached to pen the script for Tomb Raider 2. Jump will be taking over writing duties for Geneva Robertson-Dworet and Alastair Siddons, who co-wrote the first movie. Plot details on the sequel are being kept under wraps. The 2018 Tomb Raider and earned $274.7 million at the worldwide box office. In the movie, Lara Croft (Alicia Vikander) is the fiercely independent daughter of an eccentric adventurer who vanished when she was scarcely a teen. Now a young woman of 21 without any real focus or purpose, Lara navigates the chaotic streets of trendy East London as a bike courier, barely making the rent, and takes college courses, rarely making it to class. Determined to forge her own path, she refuses to take the reins of her father’s global empire just as staunchly as she rejects the idea that he’s truly gone. Advised to face the facts and move forward after seven years without him, even Lara can’t understand what drives her to finally solve the puzzle of his mysterious death. Tomb Raider also stars Dominic West (Money Monster, 300), Walton Goggins (The Hateful Eight, Django Unchained) and Daniel Wu (Into the Badlands). Roar Uthaug (The Wave) directed the film, and Graham King (The Departed) served as producer through GK Films.